Mini bike parts - The bits n pieces of your precious motorcycle. Buy with wisdom – it’s the only way. Spares or parts are always a necessary expensive part of owning a bike. Mini-bike spares are no different, and you need to ensure your bike model has these in plentiful supply. Exotic models or rare imports can be hard to track down for spares. Be aware of this when buying if you want the kudos of owning a rare bike or unusual model, the flip-side of this is in repairs or tracking down unusual mini-bike parts. However most mini bikes and popular models have spares in huge numbers and are easy to replace, but think carefully on the bike you require before buying. Buying mini bike parts is something you'll likely have to do if you own a minibike. Whether you own your motorcycle for a year or a decade, buying replacement parts is simply part of owning any motorized vehicle. The key is to take the right steps, to assure that you get the right parts at the right prices. 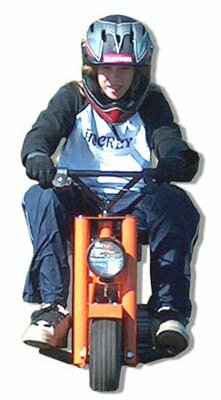 While defining a minibike as a "mini motorcycle" might seem like a case of stating the obvious, that's basically what it is. Besides simply being smaller than full-size motorcycles, the mechanics of minibikes typically include a chain drive and a two-stroke engine. Minibikes were born sometime in the late 1950s, beginning as makeshift vehicles that motorcycle enthusiasts built from the ground-up, in their garages. Before buying mini bike parts, a fun fact is that the term "minibike" was probably first mentioned in the March 1960 issue of "Rod and Custom" magazine. Within time, commercial motorcycle producers such as Artic-Cat, Fox, and Taco began producing their own minibike models. Interestingly, the popularity of go-carts paralleled the peak popularity of minibikes. What are some commonly replaced minibike parts? What are some tips for buying minibike parts? One of the mistakes that people often make when buying replacement parts for their motorized vehicles, is buying a similar-looking part that's actually manufactured for a different minibike make and model. Always try to learn the exact part number that you need, before you start your search for replacement parts. If you don't know that, the next-best-thing is to learn the exact make, model, and year of your minibike. When in the market for mini bike parts, this step will allow you to find the part(s) that you need, at a price you can afford. Make sure to shop around as much as possible, to maximize your chance at finding the lowest prices. While you should certainly search online since it's fast and easy, you might be able to find some fantastic deals offline as well. You can exponentially increase your chance of finding rock-bottom prices, by shopping at tens (or hundreds) of stores. The importance of this step can't be understated. The problem is that there are tons of cheap, copycat replacement parts for minibikes on the market. At first glance they might even look like the original parts produced by the minibike's manufacturer. Buyer beware! Saving a little money isn't worthwhile if it means that your minibike's performance or your wellbeing are compromised. 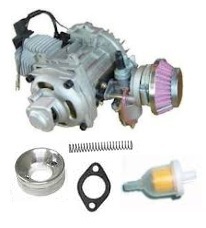 This is especially important when buying large and complex replacement parts, such as engines. Even if you buy original replacement parts, it's nice to have peace-of-mind that a parts warranty will protect you in case the part malfunctions or breaks within a year or two. While it's somewhat cliché, we should definitely expect the unexpected in life: a replacement minibike part might need to be replaced sooner rather than later. Mini dirt bikes are in most MX stores and online shops. You should be able to find whatever brand of mini bikes (& dirtbikes) you could ever wish for. 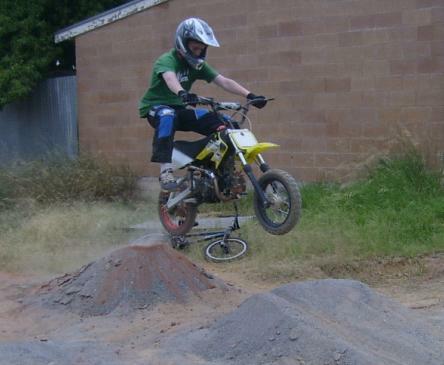 Ideally a used mini dirt bike gives you a lower price when shopping, but carry inherent risks of wear and tear. A good mechanic or friend of the family that’s messed about with bikes can go with you when buying a small dirt bike to tell you if the bikes a bag of bolts. Perhaps the sellers honest and explains it’s a wreck – heck that’s why it’s cheap! However if you add up all the spares to fix it up and it costs more than a new model – it’s obviously not a good deal. You can ride em wild, n' ride em free – but same rules apply. If you’re doing heavy jumps and stunts regularly you’ll need a good friendly spares store - as the stress and strain will break your bike, just like the big dirtbikes. Perhaps they’ll give you a discount if you’re a regular customer buying Mini bike parts ? It’s worth asking…..